A friend of mine, let’s call him Joe, was at Flag one day and was approached by one of the reges and asked to contribute more money to the Superpower Building. Joe was already a Cornerstone Member, meaning he had contributed over $35,000 to the building. The reg tried to explain how the funds all went into a general building fund, and it was used for any of the Flag buildings and so on. But Joe was having none of it. He refused to contribute further. Now he’s quit the Church in protest of this and other outpoints. Collecting money for one thing and then spending it on another could be called many things. Fraud is one of them. A poster at ESMB keeps track of the Cornerstone Newsletter, published several times a year, which provides complete lists of everyone who has donated $35,000 or more to the Superpower Building. It also lists their contributor status, which is ranked according to how much they have contributed, from Cornerstone Member ($35,000) to Legion of OT Meritorious ($7,500,000). By multiplying the number of contributors in each status by the minimum amount required for that status, we get a low-ball figure for the amount collected so far. Low-ball because it is the minimum amount, and does not account for those contributing more in that category or those contributing under $35,000. His total, as of two years ago, August 2007, was $ 142,760,000. Now let’s contrast that with the Church’s statement to the St. Petersburg Times in a March, 2009 article. Do you see a discrepancy here? The Church, by its own newsletter figures, has regged over $140 million for the project, which is projected to cost $90 million. According to my figures, that’s $50 million unaccounted for. Fifty million dollars. Where did that $50 million go? Well, part of it, according to Joe’s reg, went to the Oak Cove renovations. Part of it, we know from that same St. Pete Times article, went for over $245,000 in city fines levied for not bringing the empty shell up to code. But let’s do a few other comparisons. According to this website, the average cost per square foot for office building construction in Florida is $135.00. This is for Miami, and they don’t list Tampa, but one can’t imagine Tampa costing more than Miami. But $90 million for 380,000 square feet, according to my calculations, is $236.00 per square foot. According to the same website, the most expensive office construction costs in the U.S. are in New York City, where it’s $200.00 a square foot. So why is this building so expensive? Waste? Mistakes? Changes? There’s no way to know, as there is no transparency, no accountability. Now factor in the probability that the bulk of the interior construction will be done by RPF labor – people who are paid pennies an hour, live in mass dormitories, and eat communally. One would have to ask why the internal construction would cost that much. Scientologists should know how much labor is being done by RPF, not only because of cost, but as an ethical point. We object when WalMart or Nike use sweatshop labor, why not when Scientology does? And what about executive compensation? David Miscavige reportedly pays himself a six-figure salary, despite having his housing, food, transportation, clothing and other expenses covered by the Church. And despite other Sea Org Members being paid about $50 a week. Where is that accounting? How about some financial accountability from the Church of Scientology? Is that an unreasonable demand? No, as a matter of fact, it isn’t. Other Churches and charities have faced similar issues, and have adopted standards of financial accountability and transparency. This 2002 article in the New York Times notes that “20 percent of American congregations lose money to people entrusted with church finances,” and lists a number of instances of churches which faced issues of financial accountability. Executives from a number of churches were found guilty of ripping off hundreds of thousands of dollars, even millions, from donations received from congregations for various church projects. In one case, extensively investigated by the Kansas City Star, church leaders had solicited funds from members for building projects which were never done, or which languished in an incomplete stage for years. Sound familiar? 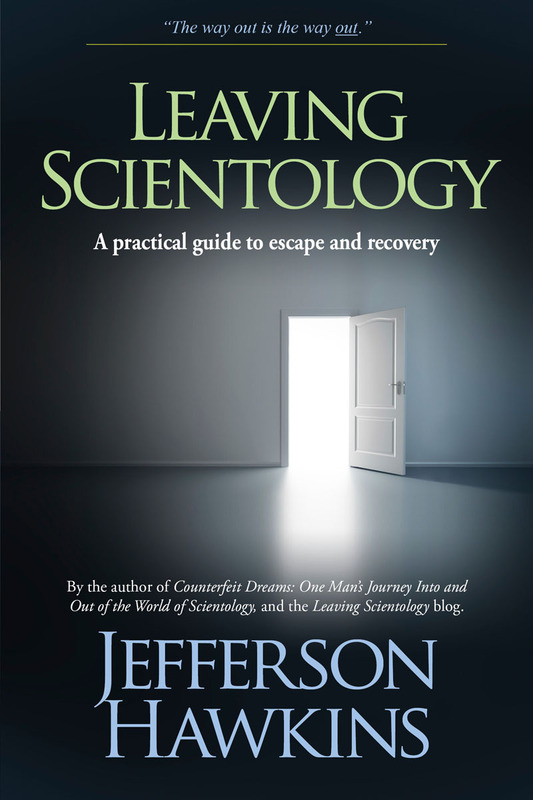 Scientology is one of those “few remaining” organizations that provides no financial accounting of donations. To guard against such financial abuses, several organizations have adopted standards of financial accountability. A compendium of standards, codes and best practices is here. Two of the best known are the standards of the Evangelical Council for Financial Accountability. Another is the Standards for Charitable Accountability of the Better Business Bureau. Governance and Oversight: Having an active church board is stressed. At least some of the members of this board should be lay people, not organization staff. The BBB recommends that no more than one board member be directly compensated by the organization. The ECFA recommends a church board of at least five people, none of whom are staff, or related to staff. All agree that there should be lay oversight of church expenditures. The board authorizes a full yearly audit of the church’s finances and transactions. Measuring Effectiveness: The board conducts a regular review, yearly or bi-yearly, of the organization’s performance and effectiveness and determines future actions required to achieve its mission. This board, by the way, also conducts a yearly review of the CEO’s or leader’s performance. Finances: Complete annual financial statements, prepared in accordance with generally accepted accounting principles, are to be prepared and published. Included in the financial statements is a breakdown of expenses (e.g., salaries, travel, postage, etc.) that shows what portion of these expenses was allocated to program, fund raising, and administrative activities. Is this too much for Scientologists to ask of their Church? Maybe there’s nothing wrong, you say. Maybe the Church is being fully responsible and ethical in its use of public donations. But full transparency and accountability would show that too, wouldn’t it? Added Note: for more information on this, see the recent post on Marty Rathbun’s blog. Thanks for an insightful column. So well stated. Remember ‘clean hands make a happy life’. Why would Church management, on the basis they are completely honest and upfront, not happily allow a transparent and open accounting for how money is spent. Why would demanding such from your Church be considered counter-intention, counter-management, etc. For God’s sake is it too much to ask for one’s Church to be forthright in how money raised from its public is spent? Management, allow the public to verify! Here, once again, Rebel008, you have brought up a significant point and have done your homework to back up your statments. One has to wonder why Scientologists keep giving over their hard earned money yet never ask for an accountability…but then, maybe there is no wondering about this as Scientologists are trained not to look too deeply at upper management. It truly saddens me. I happen to be one of those that gave and gave:over $140,000 to IAS, $45,000 to Ideal Org, about $500,000 for the bridge. I have no retirement, no savings, no investments, no pension. Many out there are in the same boat and getting on in years as I am. This must stop. I’m all for transparency … but want to be sure you’re not double counting. For example, if someone gives $35,000 (Cornerstone) and then ups there level to the $100,000 level (call it Gold Cornerstone), they haven’t given a total of $135,000 … they’ve only given a total of $100,000. Did your numbers account for that? The Cornerstone Newsletter already accounts for that. If someone contributes more, their name is moved to the higher status. They aren’t double-listed under two categories. Hmmm … I just read the ESMB post. If a person was listed as contributing $35K in 2002 (Cornerstone) and then was listed as contributing $100K in 2005 … unless one was careful to not duplicate any names, he would have incorrectly counted those contributions as $135K … instead of the correct $100K. If any names were double-counted over the years, the ESMB poster’s numbers could be substantially off. We would need to make sure that only the high-end contribution listing is being counted, for a particular individual over the years. G, I don’t see your point. If you take any current list of Donors and add them up the number of total donations it comes to over $140 million. This includes Cornerstone members and other ridiculous faux statuses (sort of like peerages) like “Double Master Bater…er..I mean Builder, etc. There are no duplicates on the list if you study them well. Besides almost ten years ago a SO member was bragging to me how they had already collected a cool $78 mil and this was only the first year of the scam and they only had the Feshbachs in the over one million bracket. If fact it was Mat (short sell ’em) Feshbach who started the ball rolling by donating three million dollars to the whole operation after receiving the Super Power Rundowns himself at the Int Base! It seems no one save a few of us noted the out-point i.e. “contrary facts” back then, that if a huge monolithic building was required to deliver the run down how did Mat Feshbach become the first “Super Power Completion” with out it? Fact is I worked at New World Corps and if such a monstrosity as the “Super Power Building” was required to deliver the run down we would have known about it because according to Ron any SH could have delivered the RD with out any special facilities whatsoever, with the exception of access to a oval running track that you can find at any High School or University which is what we used to pilot a portion of the rundown. If Joe donates $35K in year 1, he gets listed in a Cornerstone mag as having donated $35K. If Joe moves up to the $100K level in year 2, he gets listed in the Cornerstone mag as having donated $100K (but he only donated $65K more). If you add up all the donors from all the mags (and don’t exclude Joe from year 1’s mag), you will have Joe having given $135K. However, Joe only gave a total of $100K. Not saying that the ESMB poster didn’t take this into account, but from reading his post, I don’t get the feeling he did. Anyway, not arguing with your other points. Just saying that the math may not add up. Of courses “the math may not add up” we’re discussing a guy who is making a career out of it! Look at the “stats” they keep pumping up at events. More Orgs and Missions and more countries that don’t even exist! A ghost “Army of Auditors” that are probably being led by Sgt. Fury or something! I mean we don’t know how much money has been donated to super power exactly but we do know that was a lot more than the original estimate of around $45 mil. I’ll tell you one thing we’d know for sure if standard Scientology accounting practices were applied per policy, but then if standard Scientology were applied we wouldn’t be having this discussion because there wouldn’t be a Super Power building to discuss. Hi, the post and the math on the Cornerstone list were done by me. As a person is “upgraded to their new level, their name is dropped from that status and listed under the new status. Names are not counted twice, because each list is counted newly in a new unit of time. LOL! Also, there are many people who have given big bucks to this list, but have since left the cult and have been declared. Those people names are no longer on the list. Matt Feshback only did the first few of the super power rundown. He didnt need the special equipment for the rundowns he did. It is said the superpower should be delivered by universe corps for SH size orgs but it wont be as nice and fancy as in the super power building and the building is for delivery for the rest of scientology services. Miscavige wants the super power delivered with the latest devices even though lrh version didnt require it. I was over at Marty’s place and hopped over here to check things out. What they use is basically black mail and extortion. For instance if you don’t “donate” to certain “church” functions your chances of moving up the bridge are shall we say limited, not to mention the fact that if you continue to be recalcitrant you may be declared and expelled and thus forced to disconnect from your friends and family. Where does your money go? It funds DM’s efforts to make himself look like a cool CEO in charge of a glitzy, rich organization so he can hob-nob around with Tom Cruise and his A-list crowd. That is really what this is all about: a self-obsessed DM whose abuses are leaving the public bereft and his staff reduced into off-purpose Dave-bot slaves. That’s why you will never see transparency and will be sec checked and “ethics’d” into oblivion if you dare demand it. See my comments in the House of Cards article. Nice! Tell your friend “Joe” that he should come out to protest in front of HIS very expensive shell of a building tomorrow. I know many of the good people of Clearwater, all 100,000 of them are darned sick of the whole thing and would love to see him. 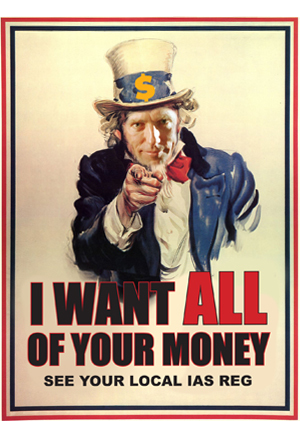 Very well done on another superb article exposing Miscavige’s mind-bending avarice. Much of the funds end up in Swiss and Liechtenstein banks. One can find regular deposits to banks in these countries. Also DM paid himself something like 140,000 pr more per annum as his ‘thirty pieces of silver’ for his work in attempting to destroying Scientology. Thanks for your post. I’ve just posted on the case of fraud at http://deligentia.wordpress.com/2009/10/28/scientology-current-problems-illustrate-susceptabilities-of-religion/ I argue that the problems are indicative of broader susceptabilities facing religion–namely, susceptability to the profit-motive and an over-estimation of religious leaders.